Shouldn’t Education and Learning Be the Same Thing? Schooling and institutionalized education have become removed from true, instinctual, and human/humane learning. Humans have been learning since the beginning of time with major discoveries and innovations historically and currently emerging in spite of school. This is the biggest problem I have with schools – most are contrived and coercive and do not honor the innate human need and desire to learn, discover, and evolve. Adults in hunter-gatherer cultures allowed children almost unlimited freedom to play and explore on their own because they recognized that those activities are children’s natural ways of learning. With the rise of agriculture, and later of industry, children became forced laborers. Play and exploration were suppressed. With larger families, children had to work in the fields to help feed their younger siblings, or they had to work at home to help care for those siblings. Children’s lives changed gradually from the free pursuit of their own interests to increasingly more time spent at work that was required to serve the rest of the family. As industry progressed and became somewhat more automated, the need for child labor declined in some parts of the world. The idea began to spread that childhood should be a time for learning, and schools for children were developed as places of learning. The idea and practice of universal, compulsory public education developed gradually in Europe, from the early 16th century on into the 19th. In America, in the mid 17th century, Massachusetts became the first colony to mandate schooling, the clearly stated purpose of which was to turn children into good Puritans. Employers in industry saw schooling as a way to create better workers. To them, the most crucial lessons were punctuality, following directions, tolerance for long hours of tedious work, and a minimal ability to read and write. From their point of view (though they may not have put it this way), the duller the subjects taught in schools the better. In the 19th and 20th centuries, public schooling gradually evolved toward what we all recognize today as conventional schooling. The methods of discipline became more humane, or at least less corporal; the lessons became more secular; the curriculum expanded, as knowledge expanded, to include an ever-growing list of subjects; and the number of hours, days, and years of compulsory schooling increased continuously. School gradually replaced fieldwork, factory work, and domestic chores as the child’s primary job. Learning is difficult and involves hard work, discipline, repetition. Obedience and conformity are valued. There are winners and losers. Winners are those who get the good grades; losers are those who do not. There are experts, the teachers, the textbooks, the administrators, who know it all and should not be questioned. Learning involves being quiet and sitting still in a desk. Traditional paper and pencil tests can measure student learning. Learning is about studying what has been and what is rather than what could be. These educational practices are often taken at face value without being critically analyzed, dissected, and/or tested for truth. Educators and all related stakeholders do not engage in serious contemplation around the question, “What is the purpose of school?” in order to analyze the efficacy of these practices. I am not advocating for the abolishment of school. Schools offer children and youth many resources they might not be able to get otherwise – communities of learners, mentorships, physical resources, emotional support. I am questioning, though, the broad acceptance by many that institution has to be the way it is. Isn’t a goal of education to learn the process of citizenship, democracy, the betterment of humankind? If so, shouldn’t all of the stakeholders – educators, learners, parent, community members, politicians – engage in a continual process of evaluating and modifying the school system to best meet the needs and desires of all? Evolution as defined as “process of progressive change or development, as in social or economic structure or institutions” is a natural process, but when schools are examined from a historical perspective, there is very little evidence of the evolution of the educational system. As a parting shot, when discussing the purpose of school, can be summarized by a statement made by Daniel Katz in Reflections on Ferguson — What does education mean in a world like this? School is an enterprise that is premised around hope and purpose. In order to truly engage with the operation of school, a child has to believe that there are reasons and purposes that make sense and has to have hope that school will lead somewhere desirable. Freedom of Speech: If Not at School, Where? I was teaching a Psychology of Adjustment course to undergraduates. Most of them were 18 and 19 years old. It was a college in Georgia with a class demographic of about 2/3 who were White and 1/3 Black. We got to the section on cultural diversity awareness. Because it was the South, we began our discussion about racial differences. At one point during the discussion, an attractive, blond, former high school quarterback said, “America is a free country. I have the right not to live next to any Blacks if I choose.” I contained my gasp, horror, and anger. I believe in freedom of speech in my classes even those that are vastly different from my own. So I bit my tongue and attempted to take a neutral stance. Even though his opinion nauseated me, it was his opinion. He made no threatening nor overtly derrogatory comments. I told this story to a colleague. She said maybe the young man heard the voice and the story of a Black person, who he got to personally know through the class, for the first time in his life. Maybe he might has changed his prejudicial views just a bit. So did my neutral, accepting responses to both these students permit them to express their honest perspectives possibly resulting in some attitudinal change? I cannot be sure, but hope so. Given the way the US politicians communicate regarding the country’s issues, they could have benefited from learning how to communicate, listen, debate, and compromise over diverse issues and ideas. So I ask and try to address in this post, “If students aren’t learning how to do freedom of speech in school, where will they learn it? Schools in the United States (as well as in many other countries) propose that a major purpose of education in learning and engaging in principles related to democracy. To do so, school personnel need to be intentional in promoting and living the ideals of democracy. Public schools were envisioned by the Founders as democratically run institutions for instilling civic values, but today’s education system seems more concerned with producing good employees than good citizens. Meanwhile, our country’s diversity has eroded consensus about citizenship, and the professionalization of educators has diminished public involvement in schools. The rest of this post proposes some concrete actions, ideas, and activities for making the learning environment a place for freedom of speech. The role of the educator also means establishing a safe space for student voice (specific suggestions are discussed in the next section). Of special note, though, is the attitude and perspective of the educator. It is my belief that the educator needs to convey an attitude of acceptance even of those perspectives different than her-or herself. It is taking a neutral stance but permitting learners to voice whatever thoughts and opinions they value. As such, I do not believe the educator should express personal values and beliefs related to religion, politics, and similar value-laden topics. The educator in promoting freedom of speech and democratic values understands the power differential between him-herself and the learners, that expressing such opinions may shut down students whose values are different than him-herself. Encourage mutual accountability between students and adults. Engage student voice in as many topics as possible, and don’t ignore it regarding others. Create ongoing opportunities to listen to student voice and engage students as partners. Encourage building-level and classroom-level student voice activities. Encourage different students to participate across education activities. 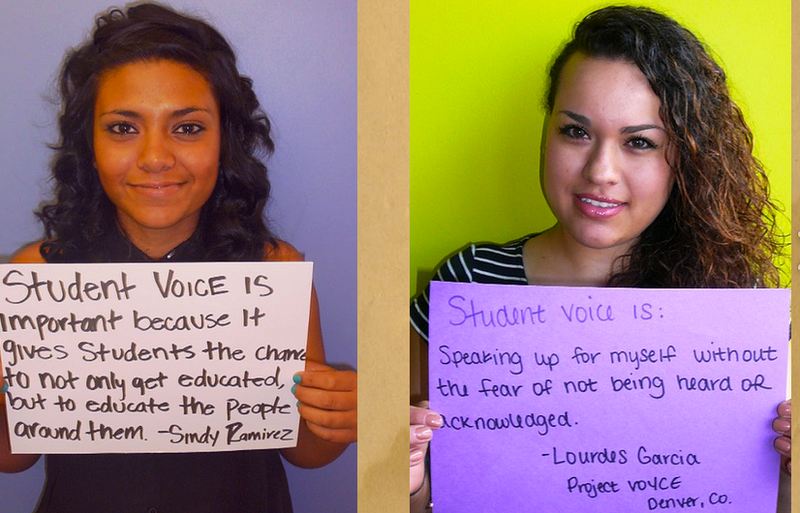 Create “safe spaces” where students can share student voice. Be aware of power imbalance between teachers and students. Offer choice to share voices in ways that suit their culture and preferences. Students are aware if their voices won’t make a difference – how will it be used as evidence for change? How much are we using it to reinforce trends, compliance, and productivity? How can we post our “information without signature” . . . how do we create safe classrooms sharing where students opinions aren’t recorded? For me, the larger discussion is not necessarily about “recording” voices in the online forum as any comments made online is virtually recorded. Strategies for creating a place for learner voice include, first, creating a safe online space to do so, and second, creating platforms where elements of privacy and anonymity can be afforded. To be effective, an online learning platform must be a safe space where students feel their voices will be respected, supported and heard. Establishing clear guidelines for online interactions is a critical step in creating an online forum that will be successful long term. Read questions and conversational postings carefully to avoid unnecessary confusion. Compliment your peers when they post strong responses or contribute original ideas. Ask questions. If anything is unclear or you want further information or insight on a topic, just ask. If you have a question, there are probably other members of the group who are confused and need further clarification as well. Remember: There is no such thing as a dumb question! Be considerate. Remember that your peers cannot see your body language or hear your tone of voice, so you need to keep your language direct and respectful. Avoid slang, jargon, and sarcasm. Some slang or jargon terms may be familiar to you, but not to others. Sarcasm is negative and can lead to rifts in what is meant to be a comfortable, safe online forum. Listen to all ideas presented. Remember there is no right or wrong in a discussion. A variety of perspectives adds depth. Stay open minded. If you expect others to respect and consider your comments and ideas, you must do the same for their comments and ideas. Respond instead of reacting. Do not write a response if you are angry or upset. Instead, wait until you have had time to calm down and collect your thoughts. Really read your peers responses. Avoid skimming. Respect the time your peers have spent articulating their thoughts by reading carefully and thoughtfully. Reread your messages before sending them to ensure that your ideas are clearly communicated and supported. Critique the content, not the person. Do not present your personal opinions as fact. Back up your ideas with information to strengthen your statements. Make I statements when respectfully disagreeing. Sharing an opposing opinion or idea is an important part of discussion, but it needs to be presented in constructive manner that encourages further discussion. Do not use all caps when writing. It is interpreted as yelling. The conversation of posting information without signature also had me rethinking about open content. I practice and promote using open platforms. As such, I keep my blog, Facebook page, and Twitter account open and public. But I am an adult, understand consequences, and as such, am quite intentional about what I post online. I promote having students use public sites to create a positive digital footprint. But now I see value in using closed and private platforms to discuss more controversial issues. Closed Google Docs, Padlets, Todaysmeet, Primary Pads, or Blogging Platforms can be established for learners to discuss more controversial issues. They can (should) be given the option to use a pseudonym. Added to the list that Catlin provided would be a promise of confidentiality – that what is said in the online forum stays in that forum. Also, the educator can commit to and insure that the forum is deleted after a given amount of time. It then becomes a form of Snapchat for education. The Socratic Seminar is a more formalized instructional strategy that can assist learners in developing skills for intellectual and civil debate, giving them a voice in a structured environment, using rationale debate techniques to do so. Socratic Seminars Succeed With Tech Tools! So I’ve offered lists of suggestions and suggestions, but the bottom line is twofold. First, a purpose of education, regardless of whether it is online or face-to-face, is to assist learners in developing civics education through respectful and genuine discourse, and second, it is the educator’s responsibility to develop and maintain a community and environment where it is safe for learner voice. Brown says that in past centuries, the infrastructure has largely been stable, but that the 21st century is driven by continual, exponential advances in computation, with no stability in sight. We’re moving, he says, from a world of stocks (i.e. fixed assets) to the world of flow. In a world of stocks, we look to protect and deliver authoritative knowledge assets and to transfer old knowledge to other people. But in the world of exponential change, it’s not a question of looking at fixed assets. It’s more a question of how we participate in knowledge flows and of how, from that participation, we can pick up new ideas and create new knowledge. In the past, our identity was defined by what we wore, what we owned and what we controlled. Young people today, Brown says, see their identity as what they create, what they share and, most importantly, what others build upon. In a business academy in Oakland, California, a group of teenagers took the initiative to fight truancy and design a new school. In the process, they won a national student leadership competition. Stephen Ritz’s Bronx classroom features the first indoor edible wall in NYC DOE which routinely generates enough produce to feed 450 students healthy meals and trains the youngest nationally certified workforce in America. His students, traveling from Boston to Rockefeller Center to the Hamptons, earn living wage en route to graduation. The Technology-Enhanced Social Emotional Learning Activities website (http://seltechnology.weebly.com/) has been designed to describe technology activities that facilitate social emotional learning. They can be used within formal and informal educational settings. Even though the focus of the activities are on building and enhancing social emotional learning, many can be connected with content standards related to language arts, visual arts, oral communication, media literacy, and ISTE’s National Education Standards for Students. Also, age levels are not recommended. Most of the activities can be adapted for any age level. Technology Enhanced Social Emotional Learning Activities by Jackie Gerstein is licensed under a Creative Commons Attribution-NonCommercial-ShareAlike 3.0 Unported License. Do the learners’ eyes light up when they see your? Do your eyes light up when you see your learners? Do the learners excitedly enter the classroom? Do learners feel comfortable asking you questions about what, how, and why they are learning in your class? Do you see learners’ eyes flicker with new understandings? Because of what they are learning in your class, do learners want to tell you about what they have read, created, seen, and/or thought about? Do the learners ask if they can get on the computer to learn more about a topic being covered in class? Do learners critically examine and question topics being covered? Do you see your learners’ sense of wonder – the sense found in young children as they discover the world around them? Do learners get to tap into, explore, and use their personal passions during your class? Do learners propose learning projects to you – things they’d like to do in your class? Do learners spend extra, not-required time outside of class studying and/or working on topics covered in class? 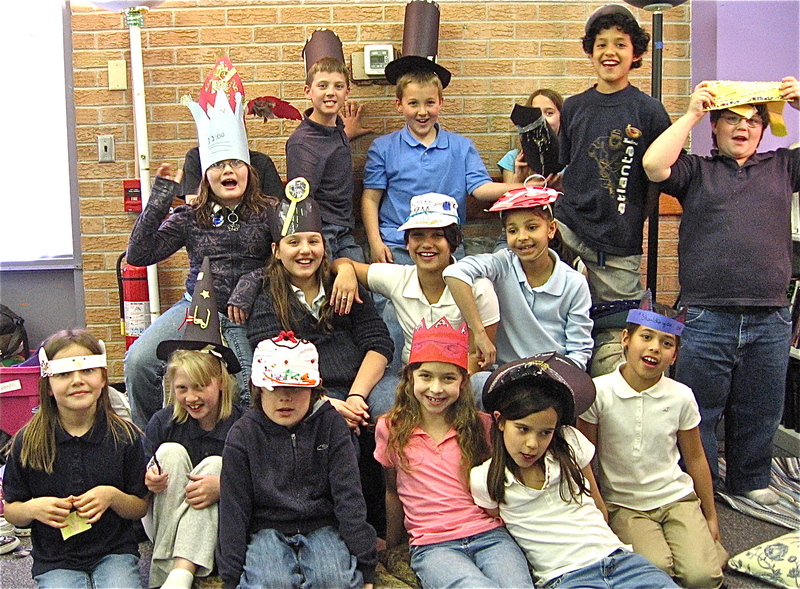 Does your heart break at the end of the school year when you say goodbye to your learners? Do learners contact you after your class has ended to share difficulties and successes? Doing it right is never about the worksheets, tests, textbooks, or scripted curriculum. Let them find their hero(s) — their choice, not yours. Once they pick their hero(s), have them dive into what made them tick – and what made them successful. Fast forward one week later. I watched a segment on 60 minutes about Jose Andres, a molecular gastronomy specialist. My interest in this man was instantaneous due to his extreme passion for culinary arts. When asked to describe him, a food critic stated, “Expect wonders.” The why’s and what’s of high school didn’t interest him so he dropped out to enroll in cooking school. I repeat, he quit high school to pursue his passion. What is the purpose of education especially in this century? Shouldn’t at least one major purpose be to nourish students’ passions? What’s the mindset? A passionate pursuit of extreme performance with a deep questing disposition and a commitment to indwelling. Perhaps we should teach not skills, but dispositions. Immersion in, not about; marinating in the phenomena. Without digital media, this quest and this indwelling and this immersion would not be possible. If a student is passionate about a topic, doesn’t it make sense to have that student study, really study, professionals who who are also passionate? Mastering a field of knowledge involves not only “learning about” the subject matter but also “learning to be” a full participant in the field. This involves acquiring the practices and the norms of established practitioners in that field. Don’t be afraid to fail. I came to New York to open a Catalan restaurant that later closed. Failure, right? But not really, because that brought me [to the United States] and out of that came everything else … A lot of young people are afraid to make mistakes, and I think that keeps them from succeeding. Churchill said success is going from failure to failure without loss of enthusiasm. So screw up, but don’t lose heart. Learn from it and keep moving. Being on the board of directors of D.C. Central Kitchen, a non-profit that feeds the hungry and offers culinary arts training to the unemployed. Meeting Robert Egger, founder of this amazing organization that fights hunger and creates opportunity and trying to help him achieve his dream … to make sure no one is hungry and that we give opportunities to those people who want to contribute. That has been my sidekick job for 14 or 15 years and is probably the one that has given me the most joy. As I watched the 60 Minutes segment and read through interviews I found online, I realized that it becomes much more than learning about the culinary arts. It becomes a way of being in the world, the dispositions that contributes to success as a culinary artist. Due to the Internet, the student can read and view media about Jose Andres, possibly connect directly with Jose Andres, and find similar minded students-professionals. Follow-up could include the study of molecular gastronomy, volunteering at a local soup kitchen, and writing/preparing his-her own recipes. This, in essence, would become a Personal or Individualized Learning Plan (PLP). The student would learn about – live the dispositions of the culinary artist. Even though I think students should find their own passion mentors, I believe that in my role as a tour guide of learning possibilities (how I explain my role as an educator), I can help identify possibilities. I have begun a list . . .
Beginning during my Doctoral studies and continuing throughout my professional career as an educator, I discovered and keep re-discovering how congruent the concepts related to Progressive Education, Participatory Research, and Reflective Practice are with my beliefs about good education, learning, assessment, and research. Conversely, the practices related to Quantitative Testing and Research and Essentialism never worked in my scheme of what good education entails. What I knew, intuitively, to be de-motivating and toxic for me as a high school and undergraduate student, I became able to articulate with words. Human behavior and learning is complex – assigning numbers to learning is reductionist, implying that learning is a simplistic process that it can be measured in the same manner that blood pressure can be measured. Quantifying learning does not provide the in-depth descriptions of best practices for other educators and students. Best practices – the success stories of education cannot be duplicated based on viewing test scores. Students become commodities, where their value is measured by the numbers assigned based on test scores. It became an earth moving AHA for me – the missing piece of my perspective on “good education”. Students should be part of the research process. Note that the emphasis here is on part of the research process not the subjects of the research. I got motivated to do a search on YPAR. What follows are excerpts from a refereed research conference paper, Students: From Informants to Co-Researchers. This power differential between teachers and their students, as manifested in schools and classrooms, is reflected in the educational research processes themselves. Students are at worst the objects and at best the subjects of the research. They are not seen as participants in the processes of enquiry. Indeed, Morrow and Richards (1996) note that within existing ethical guidelines on human research in medicine, children are considered alongside adults with impairments. In other words, they are not seen to have status, but to be vulnerable. They are characterised as relatively incompetent and at risk of exploitation. Studies centered around the experiences of young people in schools typically position the students as the objects of the research. They are observed, surveyed, measured, interviewed and commented upon in order to inform a research agenda to which they have made little contribution. They are rarely recognized as active agents, who can not only be reliable informants, but also interpreters of their own lives. The positioning of young people in educational research is analogous to that of women within traditional patriarchal research paradigms. They are at worst, silenced; at best patronized. Students should be enabled, by provision of appropriate resources (such as time, space, technologies and materials) to be fully participative in the research. The benefits as I see . . .
Students assess what they learned, how they learned it . . . and reflect on their learning as part of their participation. They learn the skills for reflective practice. They learn to be critical consumers and producers of their own learning. The boundaries between assessment and research become blurred . . . as it should be. Assessment becomes naturalistic and descriptive rather than reductionistic and contrived. Best practices are described, developed, and disseminated through the collaborative efforts of educators and students, the populations who have the vested interest in these practices. This increases the validity of these practices in the eyes of these stakeholders and the chance/opportunity for implementing these best practices. The quality of education improves.